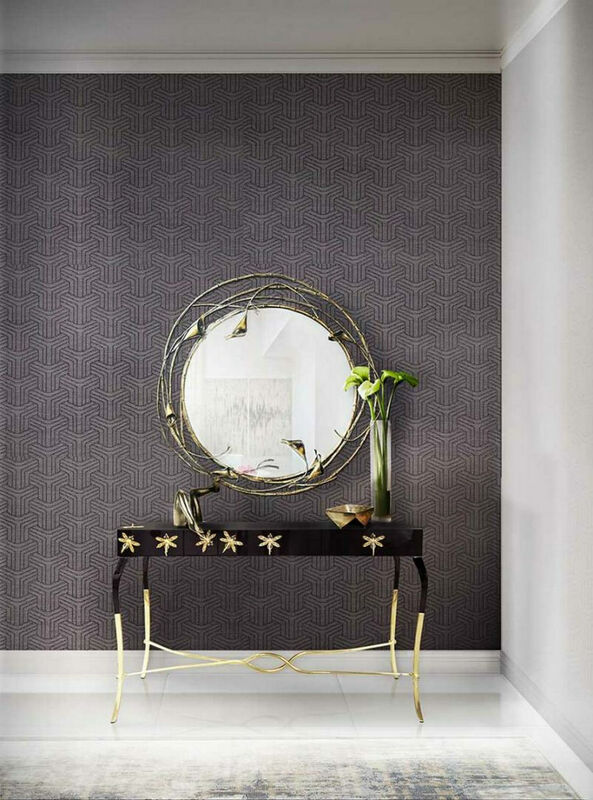 There’s nothing like a bespoke console table to give that sophisticated touch to a living room or an entrance hall. 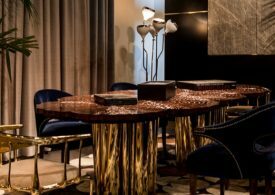 Images speak louder than words and today we bring some Modern Home Decor Ideas for Console Tables ambiances you will probably fall in love with. Take a look! 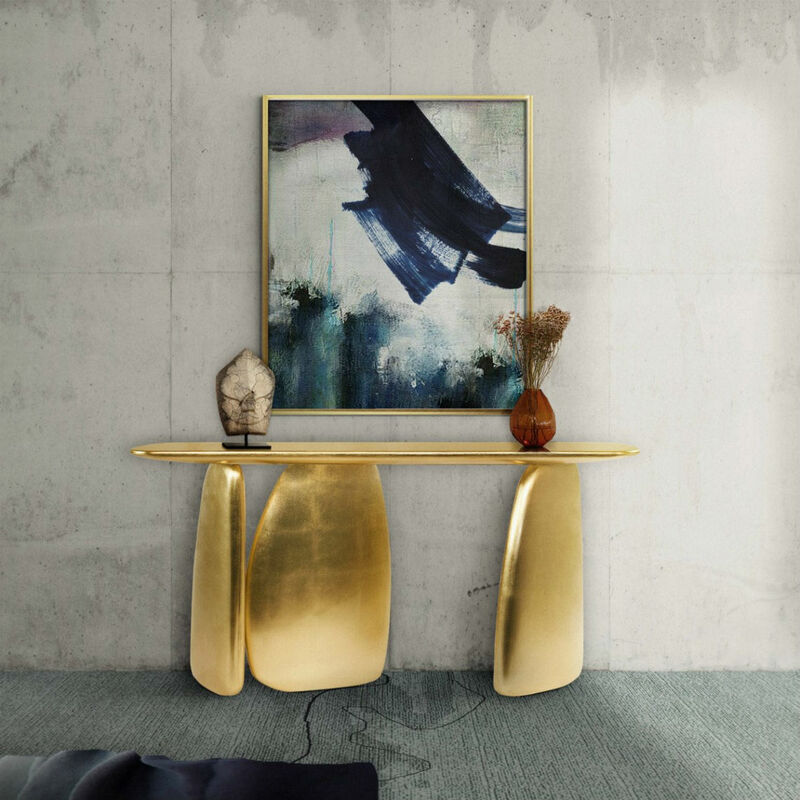 A demonstration of imagination and exceptional craftsmanship, this unique console table is a remarkable piece that stands out in any room or setting. It expresses a leading edge outlook through its distinct shape and color. Mid-century meets transitional style in this clean console table. 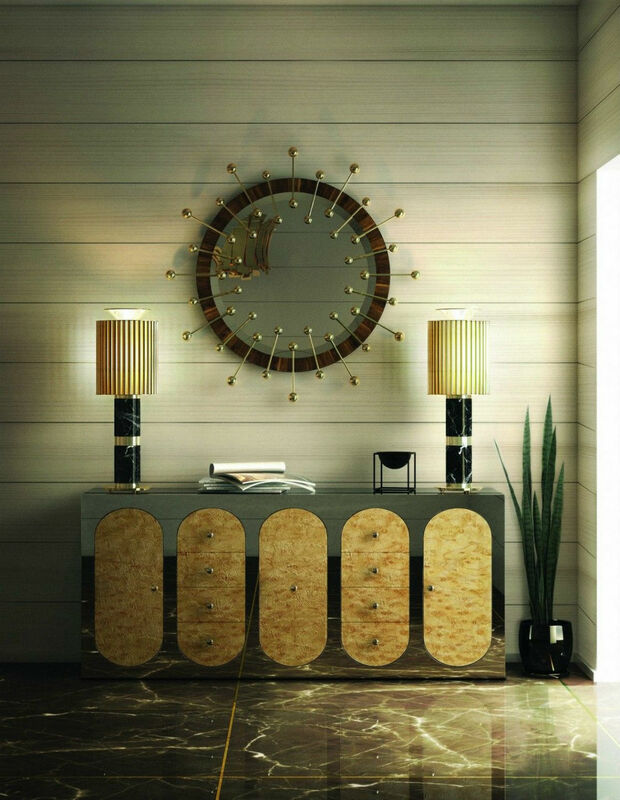 This piece is produced in polished steel and its square body contrasts with the rounded set of drawers and doors. Simplicity is the ultimate form of sophistication. 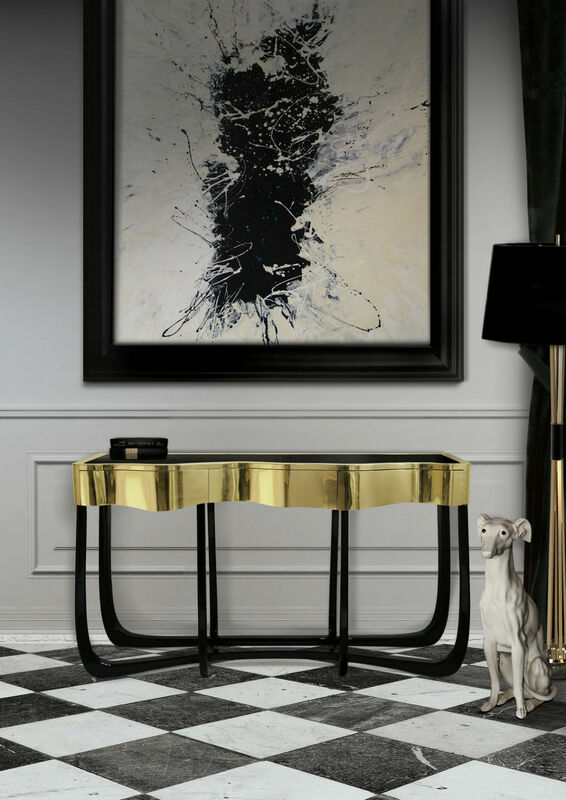 With a finish in gold leaf and a gloss varnish, this modern console table will give a unique twist to any setting. Enhance what’s already good and make it the best with this fine art furniture piece. 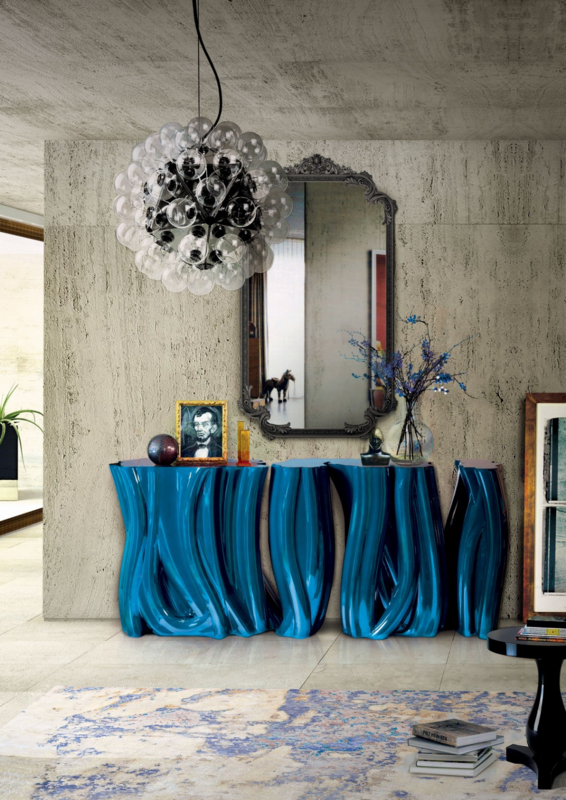 A bit more traditional than the previous ones, this console table is a reflection of the purest exclusive design. Place it under a painting or a mirror and feel the luxury flowing all around. Your home decor should be the story of who you are and a collection of what you love. 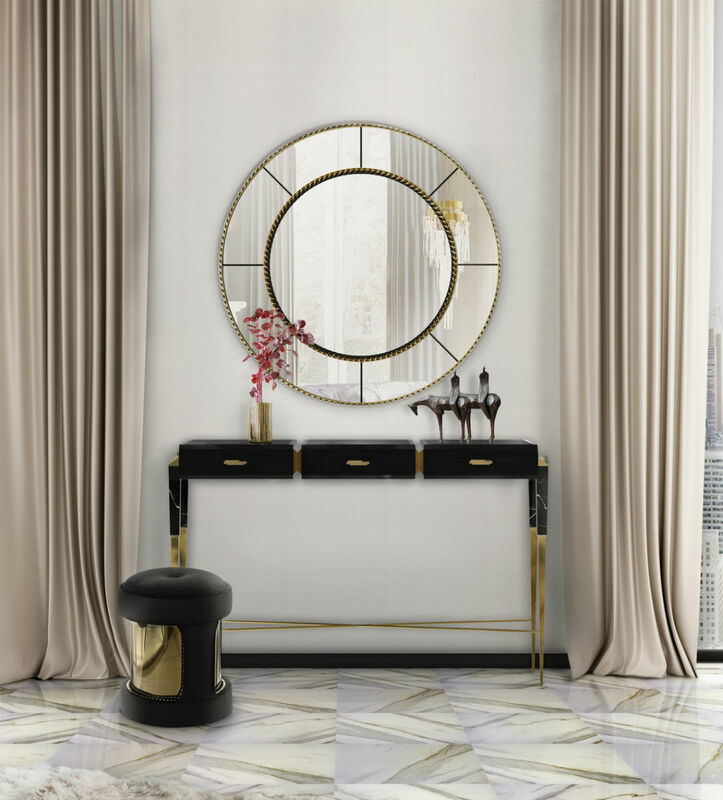 With this beautiful console, luxury is in each detail. Some people look for a beautiful place, others make a place look beautiful. This unique console emerges with a sophisticated new aura. Shedding the golden dragonflies, its top is adorned in tightly wrapped, reptile embossed leather with ornate metal pulls on each of the drawers. The seduction continues down the base with its delicately twisted metal legs. 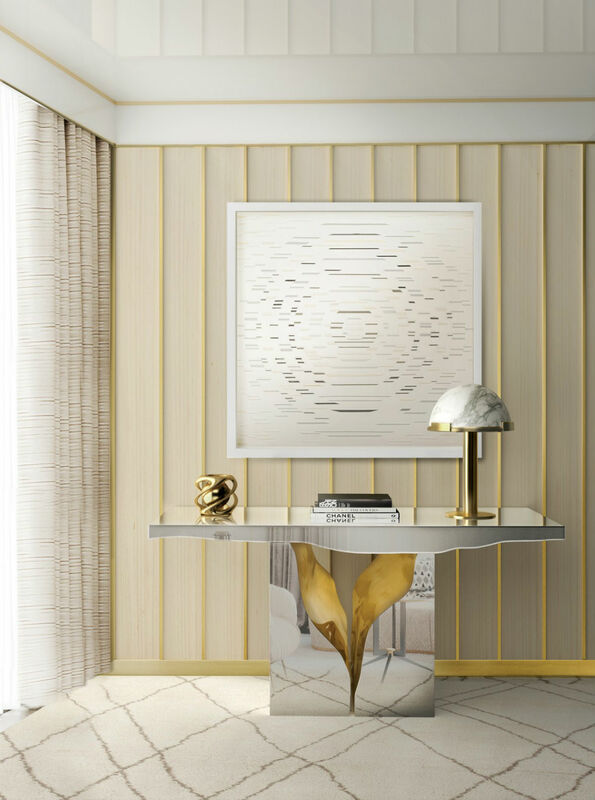 The diversity of this console table materials from brass, wood, leather and marble result in a console with straight lines. From the Ancient Rome comes its inspiration, bringing a timeless design to this art piece. 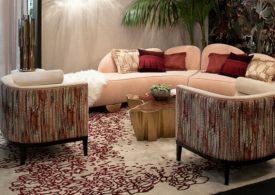 A symbiosis of toughness and elegance, perfect to bring an environment to its most luxurious ambiance. 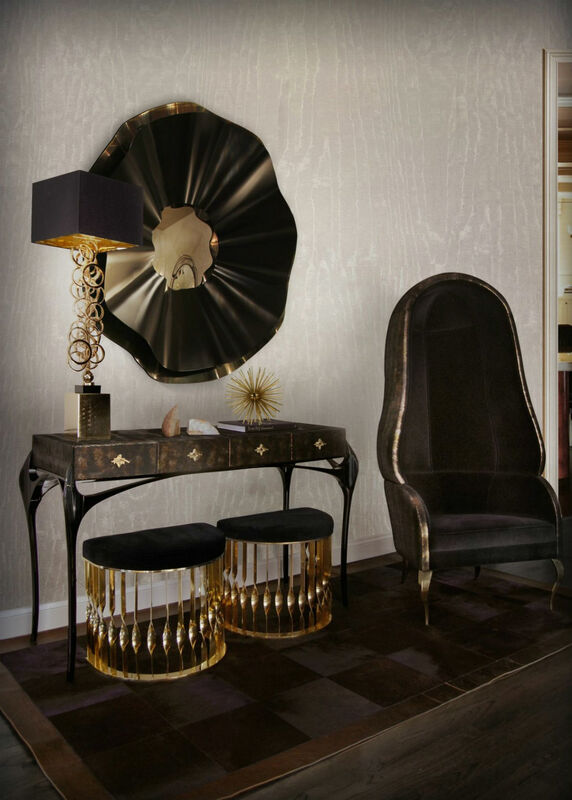 This console explodes with exoticism and verve with its untamed gold curves and a four-drawer top wrapped in a bronze metallic-embossed. It is adorned with a bronze crystal on each drawer. 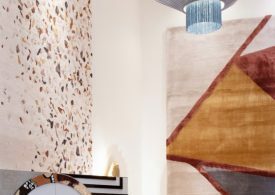 An impressive modern classic feature that is bound to be the main character of your living room or entrance hall. This piece has fierce details such as the brass coiled snake hardware in the drawer fronts. 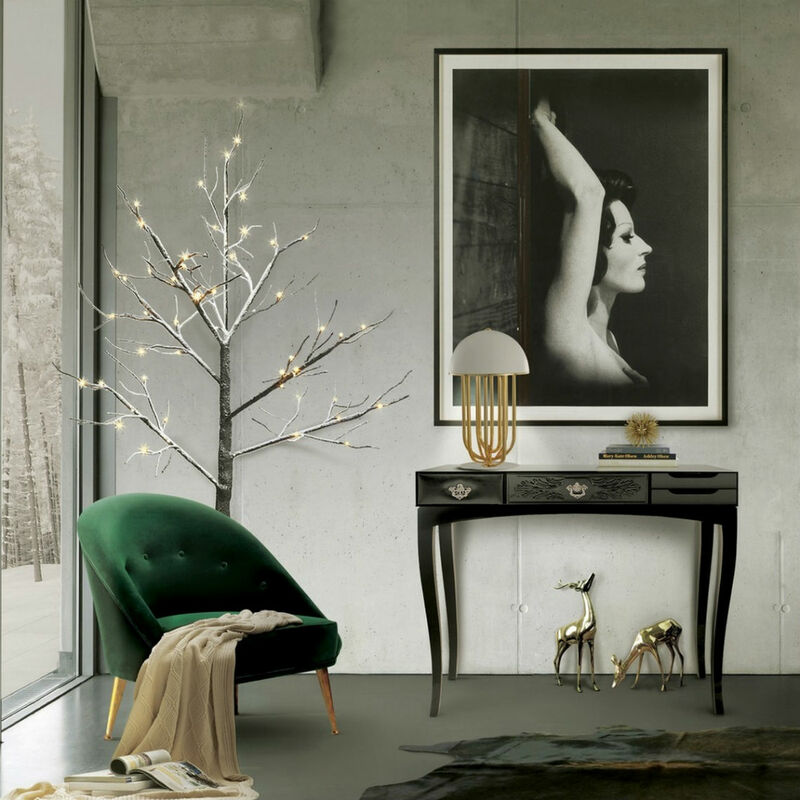 Truly inspiring and seductive, let’s set a mood in your living room through the finest craftsmanship. 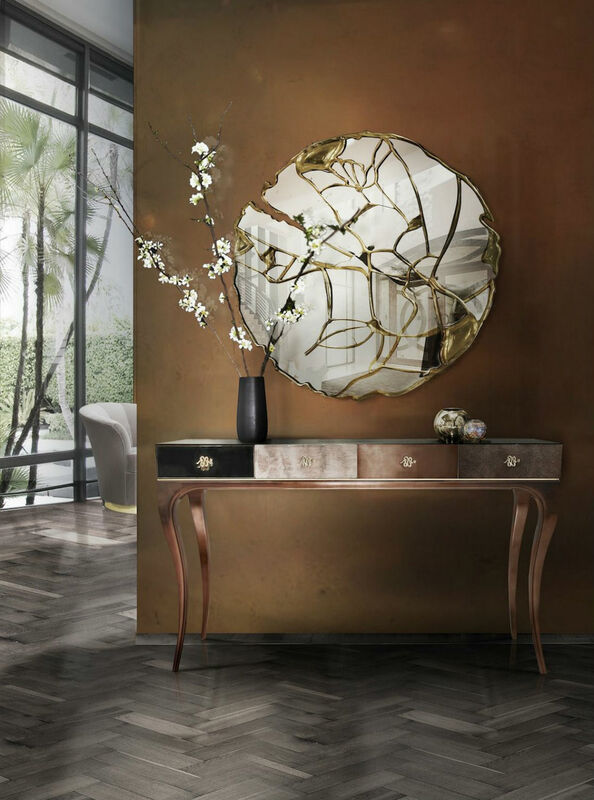 Transcending the fusion of traditional and contemporary design with this console table, you will create a luxurious environment. The lines draw the elegant character of this console, which is made for those who love harmonious lines mixed with exquisite detail. Its design is seductive and lures you into a magical and golden world.